So many people immediately run straight for the kittens when they head to the shelter to adopt. That’s because they fail to realize all the love and charm that senior cats possess. 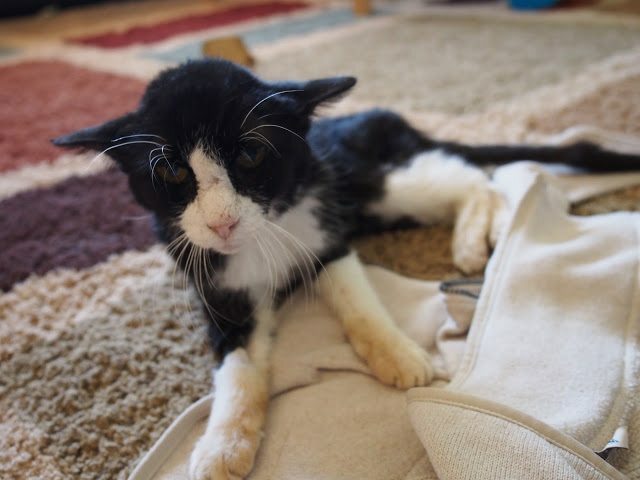 One Utah family visited Best Friends Animal Society and started to look at kittens but soon fell in love with the 20-year-old cat named Dexter. 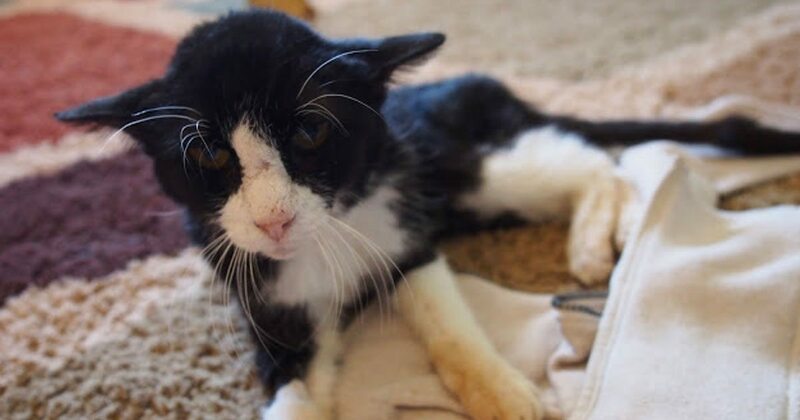 The family knew that Dexter’s days were numbered but wanted to give the toothless senior cat a happy home during his final days. 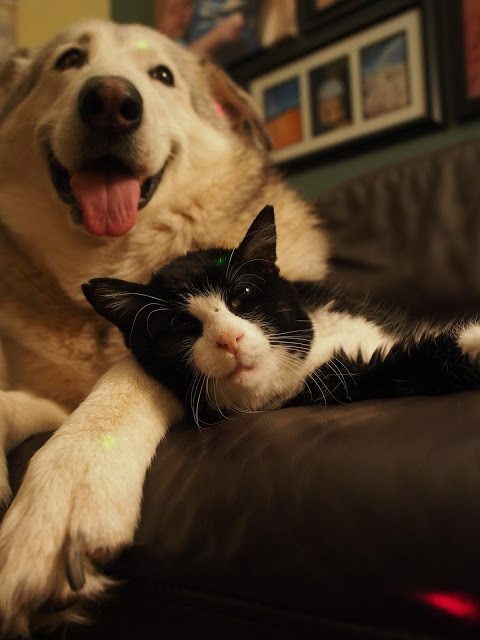 When Dexter came home with his new family he made a new best friend that very day. 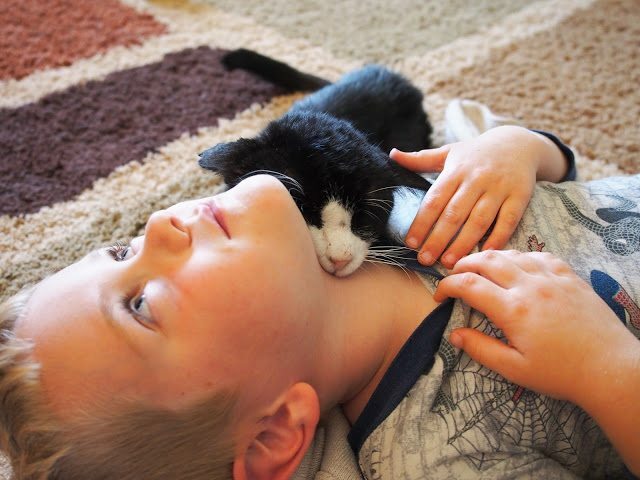 Their 5-year-old son J.J. immediately bonded with Dexter and insisted that he exclusively feed him and take care of him. The other dogs in the house were also protective over Dexter and made him feel like one of the gang. Dexter spent his days cuddling up with his new family and looking for pets that make him purr. As a senior, Dexter was very set in his ways and had a specific routine. He absolutely had to eat at 4:30 a.m. and would harass his family until they woke up to feed him. And for two years Dexter was the king of the household. But after being loved unconditionally by his new family for those two years, he passed away. One of Dexter’s parents wrote a touching tribute to Dexter on their blog Redrocks and Beyond. “Dexter was so many things to so many people. He was a fuzzy soulmate, a lap warmer, a nap buddy, a gamer, a bookmark, a passing snack (ok — to clarify that one — Flora loved to “clean up” her buddy Dexter after all of his daily meals), an icon (he had a fan club!! ),” they explained. Watch a touching video of Dexter’s life in the video below.